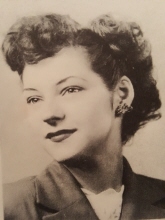 Mary R. Gleasman, 85, of Roscoe, IL died at 4:42 a.m., Friday, November 30, 2018 in her home surrounded by her loving family. She was born February 1, 1933 in Rockton, IL the daughter of Mr. and Mrs. Richard and Ruth (Stearns) Simonds. Mary graduated from Hononegah High School class of 1951. She married John M. Gleasman in the Old Stone Church in Rockton, IL on December 31, 1951. She is a lifelong member of the Old Stone Church where she has been active in various committees of the Church. Mary was also active in The North Shirland Congregational Church and helped with the restoration of the Church; she also attended First Congregational Church in Roscoe, IL. The family wishes to extend a heartfelt thank you to Torika for all her tender loving care given to Mom. Mary was passionate about caring for her children, grandchildren and all of her pets. Her survivors include: daughters Linda (Karl) Graham, Nancy (Mike) Gleasman; son Steven (Diane) Gleasman; grandchildren Katharine (James) Graham, Lauren (Terence) Johnson, Amy (Matt) Mylin, Michele (Brian) Jeffords, Linsey Beeman, Steve and Greg Hahnel, Hallie (Pedro) De La Cruz Gleasman, Frederick and Lydia Gleasman; 10 Great Grandchildren; sister Diane (Allyn) Carlson; numerous nieces, nephews; many special friends and best friend Mary Lou Sprague. She is predeceased by her parents, husband, son Craig Gleasman, brother Donald Simonds. A funeral ceremony will be held at 12:00 p.m. Saturday, December 8, 2018 in the Old Stone Church 101 East Union St. Rockton, IL with Pastor Dan Herman officiating. Burial will be in Rockton Township Cemetery. A visitation will be held at the Church from 10:00 a.m. until Funeral on Saturday. Memorials may be given to the Old Stone Church 101 E. Union St. Rockton, IL 61072. To send flowers or a remembrance gift to the family of Mary R. Gleasman, please visit our Tribute Store. "Email Address" would like to share the life celebration of Mary R. Gleasman. Click on the "link" to go to share a favorite memory or leave a condolence message for the family.